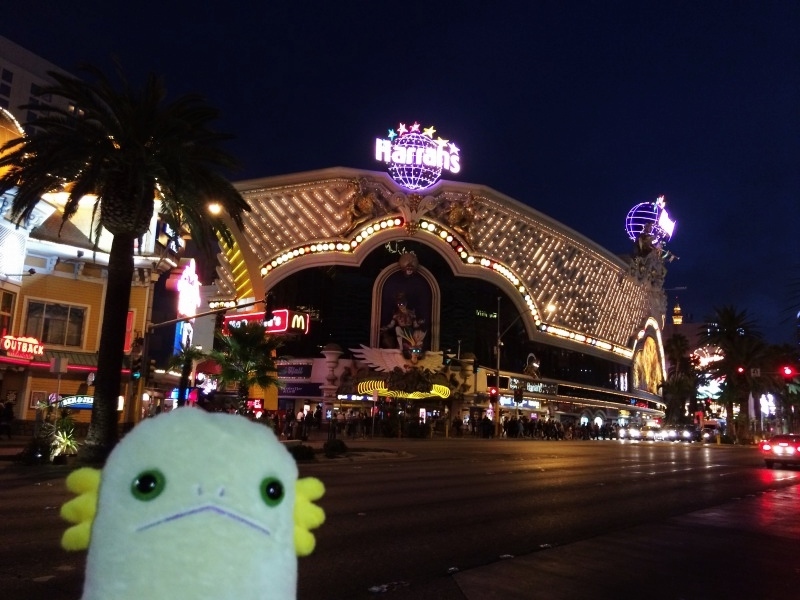 Alien am in Vegas. 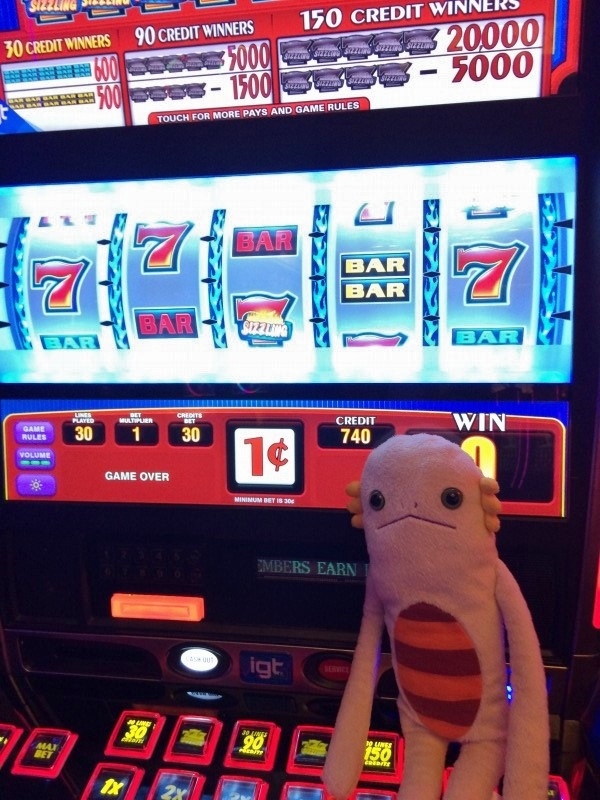 The thing Alien must try is... gambling! Alien saved for this special day! 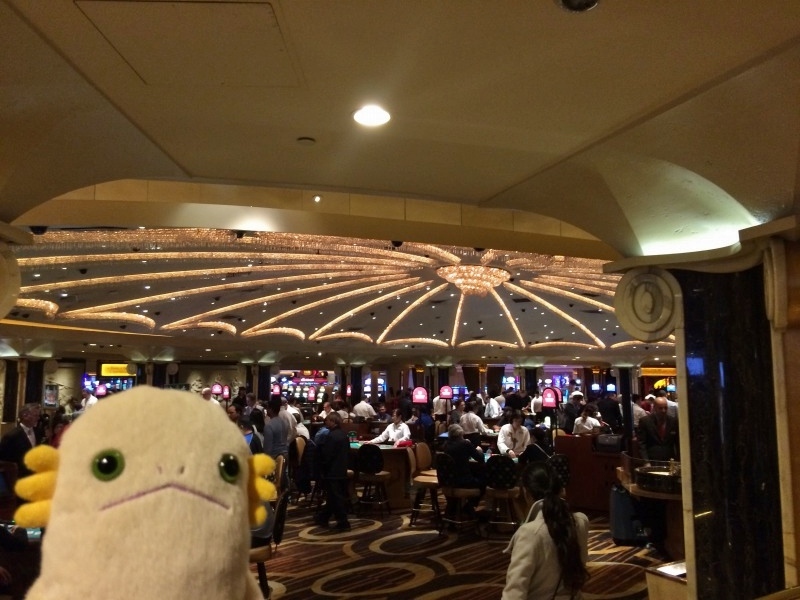 Let's go to casino at Luxor, where Alien stay in today. Wow, can Alien win the car? 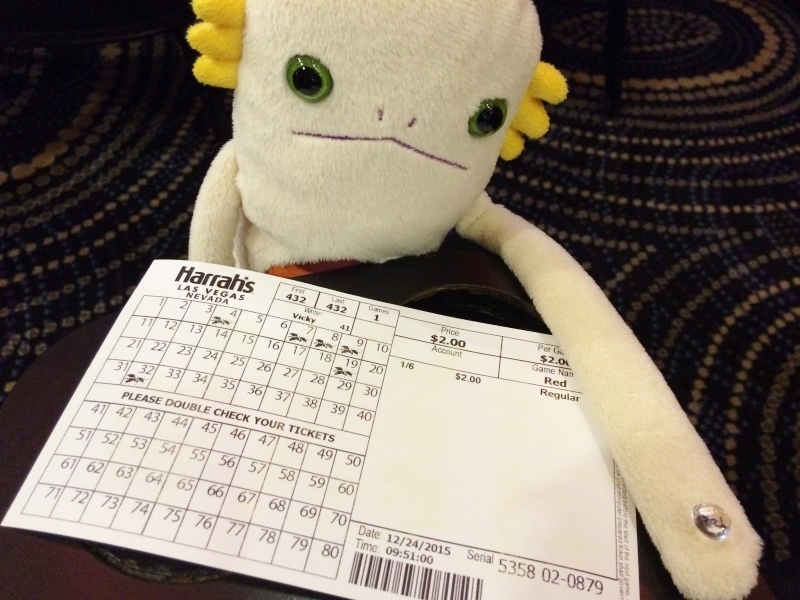 Alien couldn't win the car, but it was a good start. 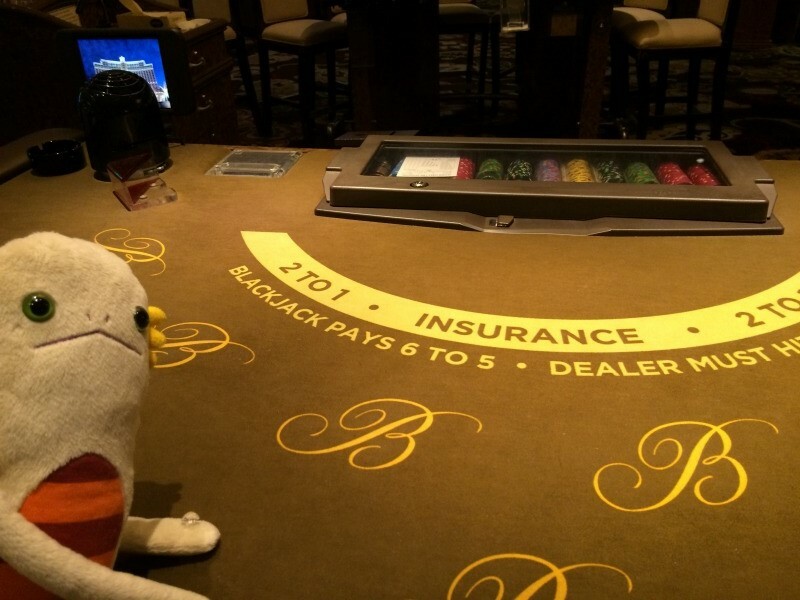 Alien also played at a blackjack table. Each table has a different minimum bet, so you would better check it before you have a seat. 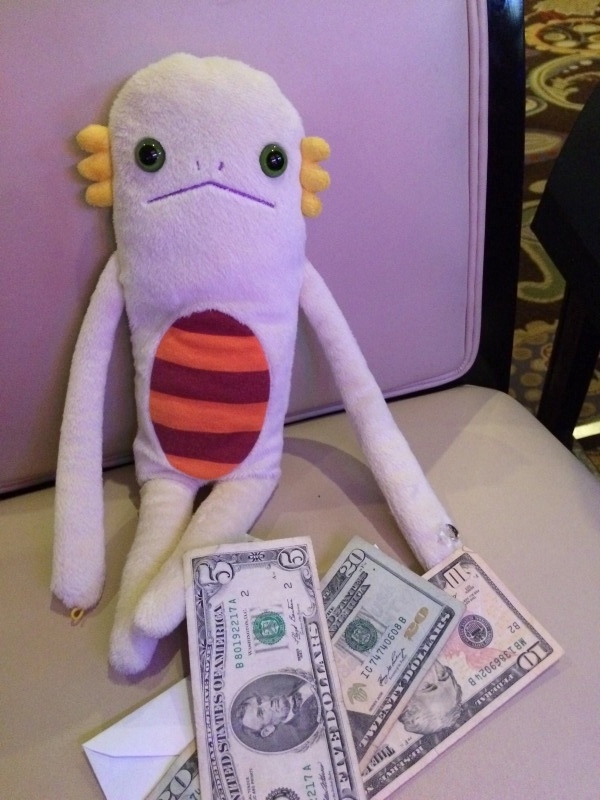 Alien got a seat at a table of $5 minimum bet, which was the lowest. Alien handed cash to the dealer, and he gave Alien gaming coins. 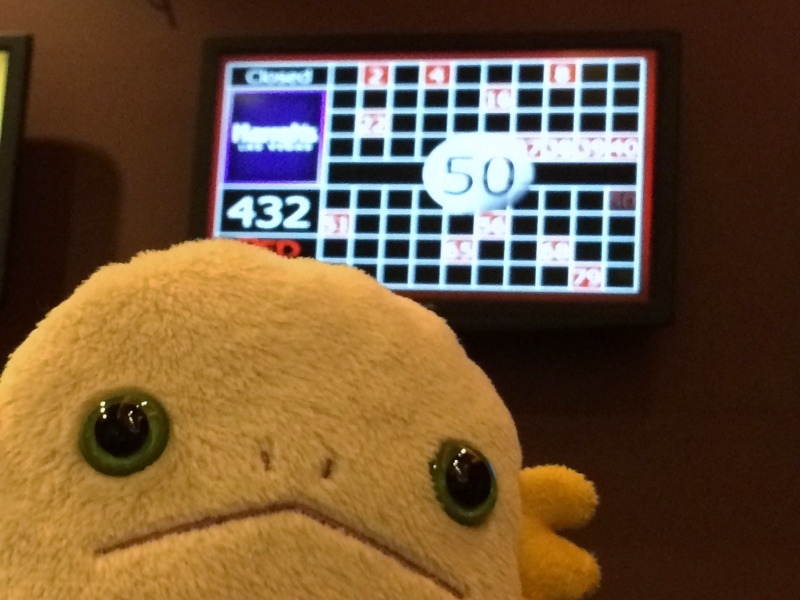 …Games went so fast for Alien. Alien's mental calculation wasn't good enough. 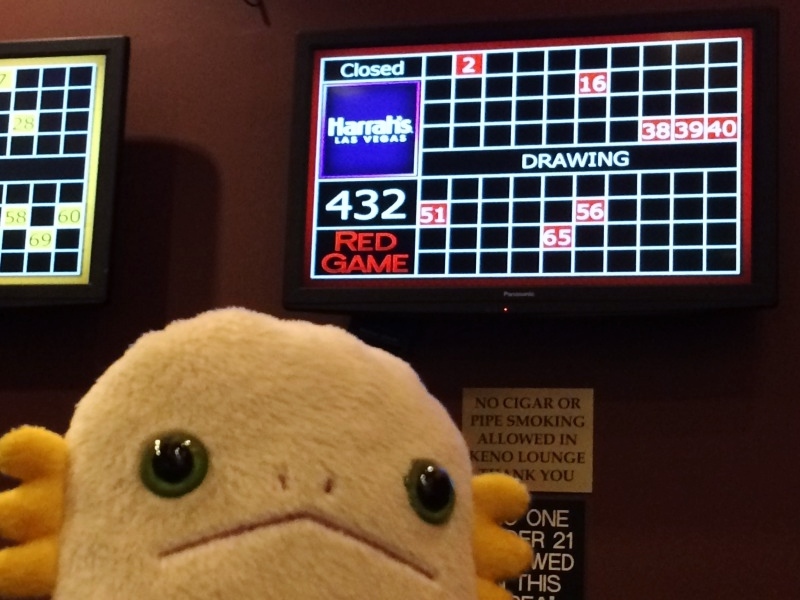 Some dealers do calculation for players and/or give advise, but the dealer at Alien's table wasn't that nice. Alien did Alien's best, and Alien's $15 became $26! 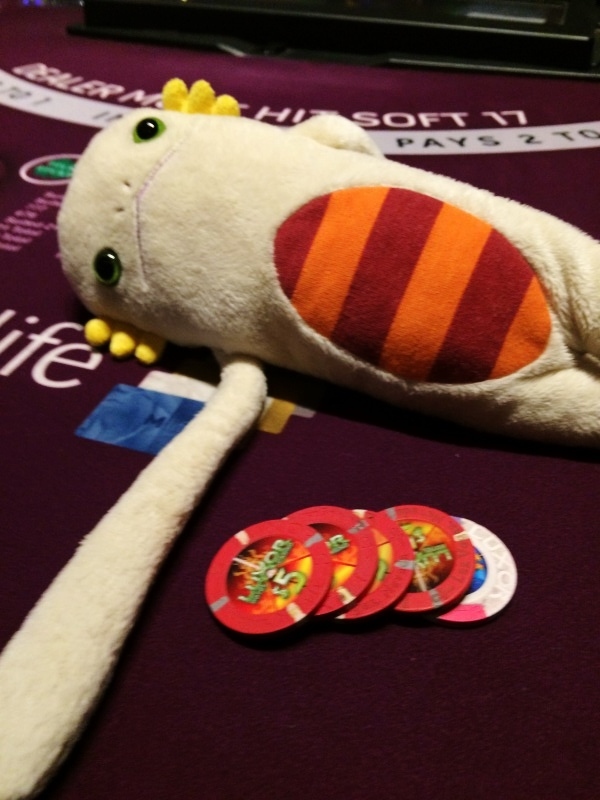 Alien came to Harrah's Hotel. 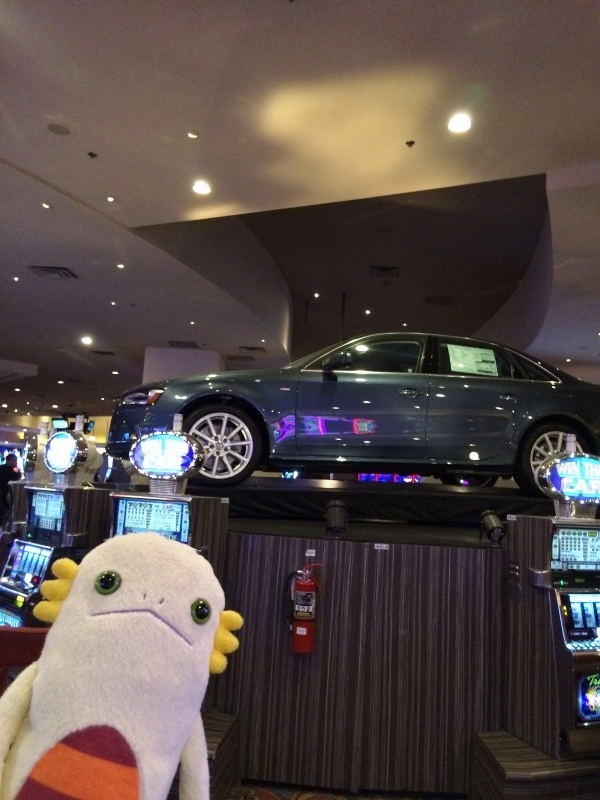 Alien found a small space for Kino in the casino. Let's see the instruction... Okay, Alien just pick numbers. That sounds easy. Let's try. $2 minimum bet for one game. 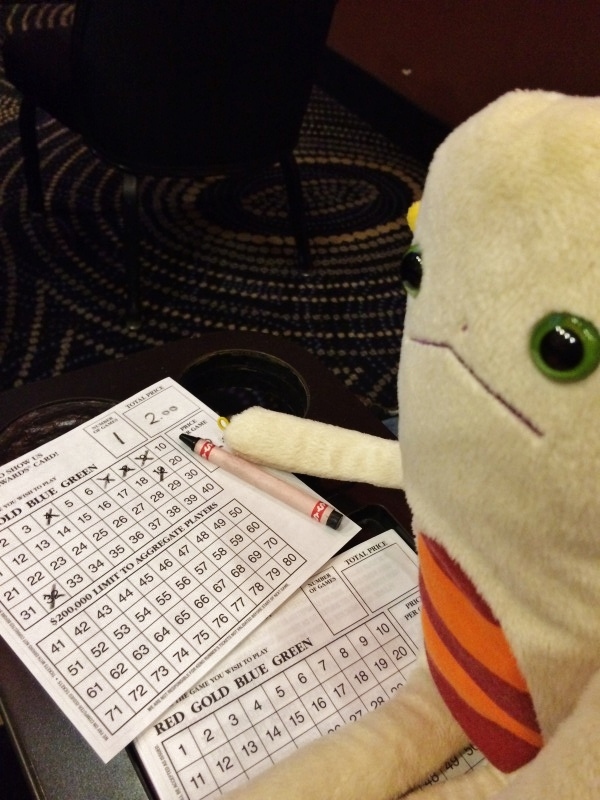 Alien picked numbers and handed the sheet to the staff. Alien bought $2 game card. 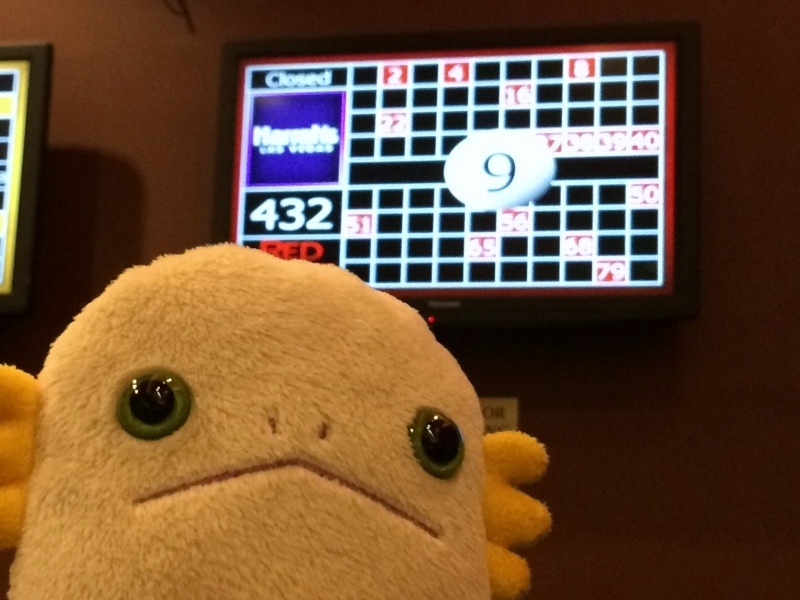 Alien picked six numbers. Alien win if Alien get more than four numbers out of the six. 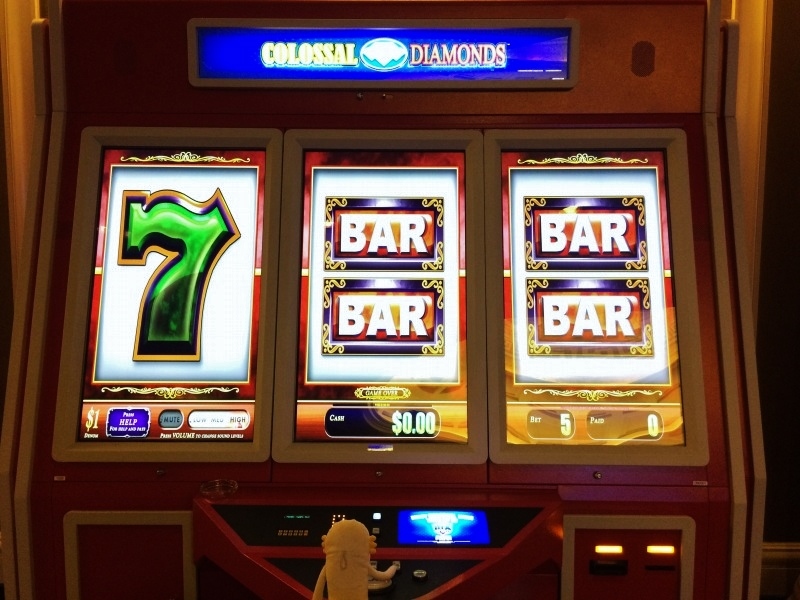 Players can cash game cards after all drawings are done. 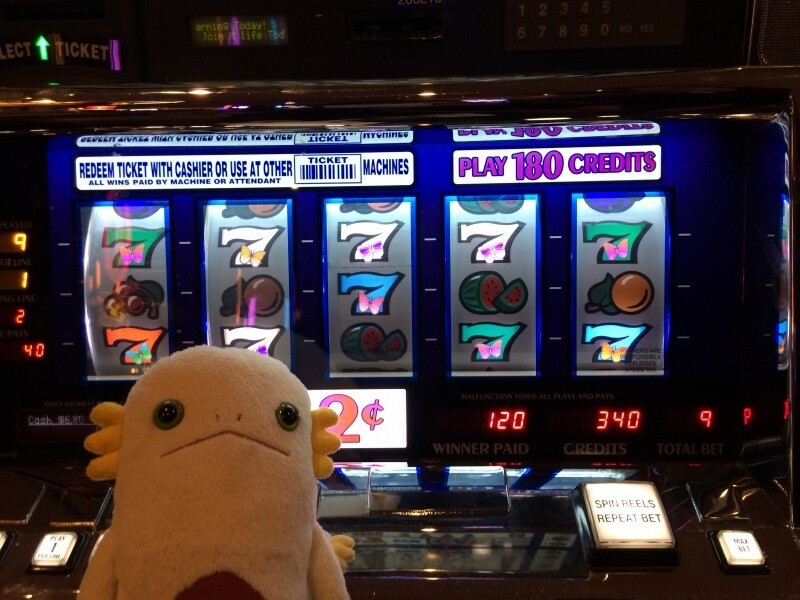 Well, let's be strong and try another casino. 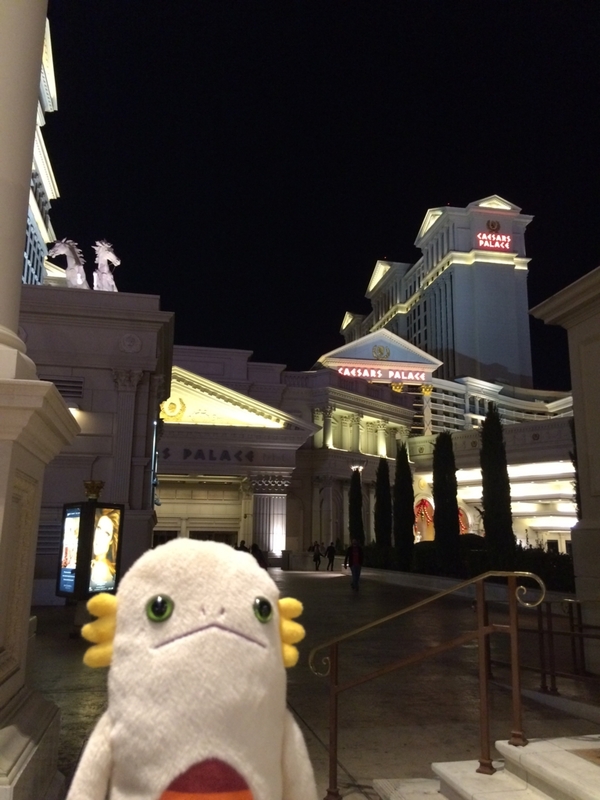 Alien came to Caesar Palace Hotel. Is it really an off-season? 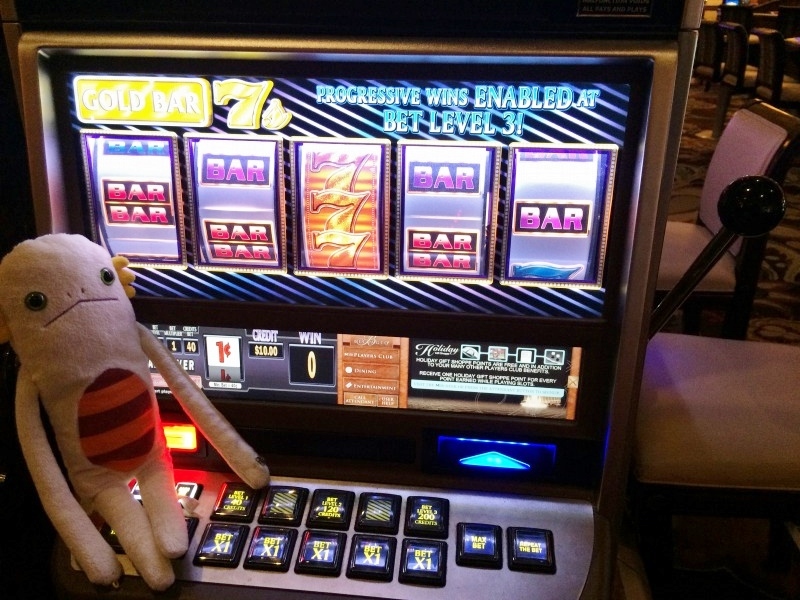 Alien found a huge slot machine! Oops, too huge for Alien to play. 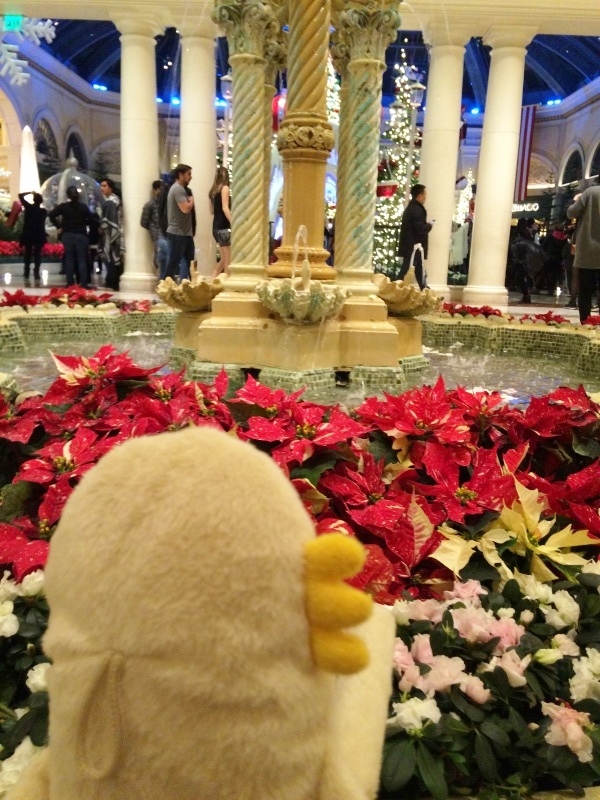 Let's also try casino at Bellagio, next to Caesar Palace. Well... Alien don't win yet. Let's find a better machine. …What's wrong? Alien still don't win. 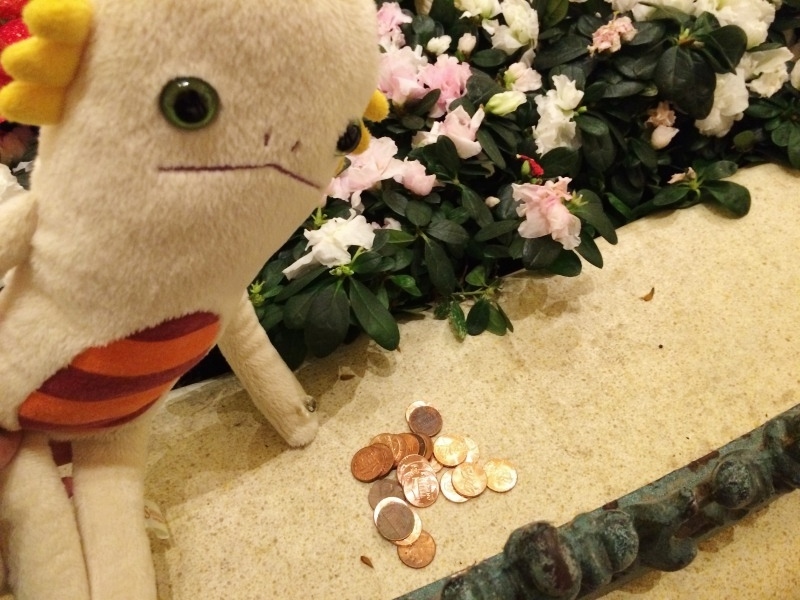 Alien throw the pennies into their fountain. Please let Alien win next time.